Following exceptionally high demand for places in its Schools campaign, Stewart Garden has announced that the competition has exceeded its entrants target within a month of its launch at Glee 2012. Stewart Garden Schools is being run in association with grow your own specialist and regular broadcaster, Pippa Greenwood, to inspire young children to embrace ‘Grow Your Own’. Worldwide electronics and manufacturing company, Brother, is also donating towards the campaign, following discussions that took place at Glee. Launched with the aim of attracting 100 participating schools, the campaign is now closed to new entrants having accepted 135 applications. A wide range of Stewart Garden products, including propagators, seed trays, plant pots, troughs and watering cans are being donated to participating schools as part of the Stewart Garden Schools Grow Your Own kit. The kits also include seeds and compost provided by participating garden centres. Children at participating schools will receive a booklet produced by Stewart Garden and three varieties of easy grow vegetables seeds provided by Pippa Greenwood. Over the coming months, Stewart Garden and Pippa Greenwood will judge the progress of the participating schools and draw up a shortlist of five, from which the winner will be chosen. The winning school will receive £2,000 to be spent at their Stewart Garden Schools garden centre. The second and third placed schools will receive £1,500 and £750 respectively, also for purchases at their nominating garden centre. 4 June 2013 Judging takes place at Stewart HQ, Banbury, where the top five schools are chosen. 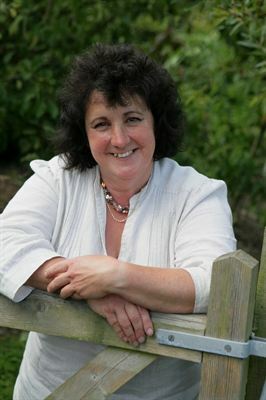 Pippa Greenwood is one of Britain’s most popular gardening broadcasters. She has presented a number of television and radio programmes. Stewart Garden and Pippa Greenwood work together to help consumers improve their understanding of growing fruit and vegetables at home and support retailers in this increasingly popular market sector. Pippa has several regular writing commitments including BBC Gardeners’ World Magazine and a monthly page in NFU Countryside Magazine. For eighteen years Pippa was the gardening columnist for The Mirror newspaper.